Risuko’s World — What Were Kunoichi? Note: In Japan, as through most of East Asia, tradition places the family name before the given name. For example, in Kano Murasaki, Risuko’s proper name, Kano is her family’s name and Murasaki her given name—what English speakers would call her first name. Risuko—Proper name: Kano Murasaki. Called “Squirrel” and “Bright-eyes.” Novice. Lady Mochizuki Chiyome—Mistress of Mochizuki. Mieko—Lady Chiyome’s maid. Kunoichi-teacher. miko-dance master. Mai—One of the “Horseradish Sisters.” Junior initiate. Shino— One of the “Horseradish Sisters.” Junior initiate. Oka-san—Risuko’s mother. Proper name: Kano Chojo. Usako—Risuko’s sister. Proper name: Kano Daini. Oto-san—Risuko’s late father. Former samurai, turned scribe. Proper name: Kano Kazuo. Kenji—Boy. Played with Risuko and Usako. Oda Nabunaga—Warlord (shōgun) of Japan. Head of the Oda clan of Rising Tail (Owari) Province. Allied with the Takeda and the Matsudaira. Matsudaira Motoyasu—Lord of the Matsudaira clan of Three Rivers (Mikawa) Province. Sign up to read tales of the Kunoichi! Meet the characters before Risuko does! What’s with Kee Sun’s accent? Absolutely engrossing, this story grabbed me from the very start. Replete with vivid details, gorgeous descriptions, and rich emotions, this is the beginning of what looks to be a tale well worth the telling. 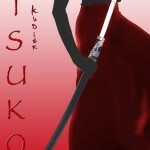 Add Risuko to Your Goodreads List! Read the opening chapters of Risuko — free! 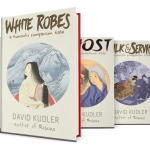 David Kudler is an expert provider of publishing services and consultant to independent and self-publishers. An author himself, he lives just north of the Golden Gate Bridge with his wife, actor/teacher/author Maura Vaughn, and their author-to-be daughters. And their (apparently) non-literary cat. He serves as publisher for Stillpoint Digital Press. Since 1999, he has overseen the publications program of the Joseph Campbell Foundation, for which he has edited three posthumous volumes of Campbell's previously unpublished work (Pathways to Bliss, Myths of Light and Sake & Satori) and managed the publication of over fifty print, ebook, print, audio, and video titles, including the third edition of the seminal Hero with a Thousand Faces. He is honored to serve as the president for the Bay Area Independent Publisher's Association (BAIPA). 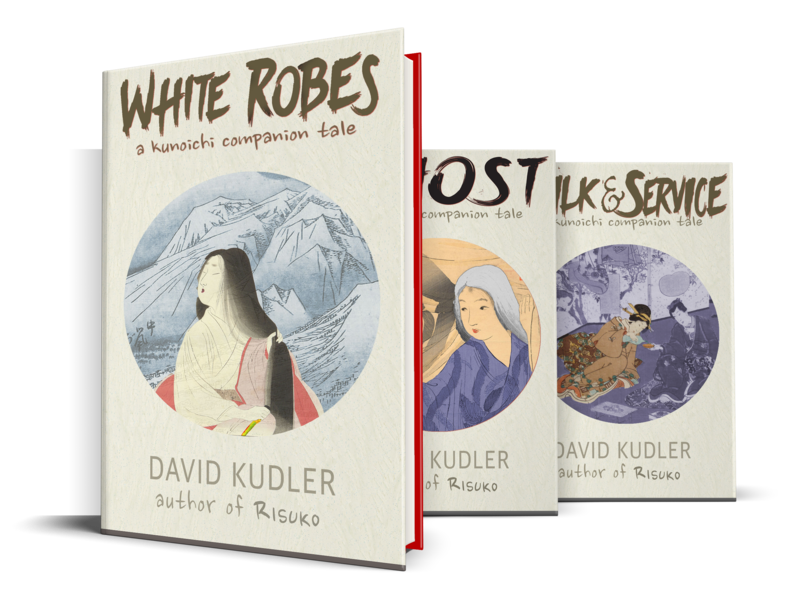 A published author, he recently released Risuko: A Kunoichi Tale, a young-adult historical adventure novel set in sixteenth century Japan.